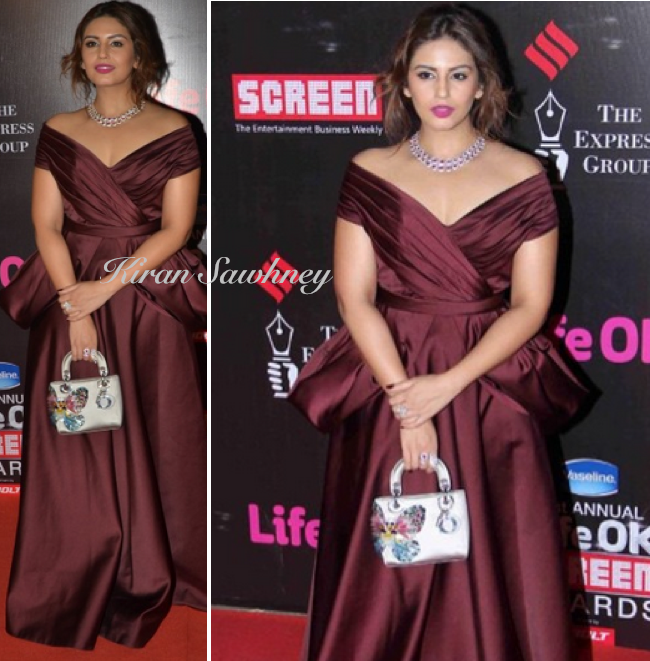 Huma walked the red carpet in wine colored off shoulder gown by Amit GT. She paired it with ruby and diamond necklace and rings by Roots Atelier and Gehna jewelers. She carried a mini Dior with embellished butterfly. While we love the rich color on her, what we do not like in the gown is unnecessary volume around the waist. The ballroom gowns are supposed to highlight the waist. Even the hairdo seems messy.